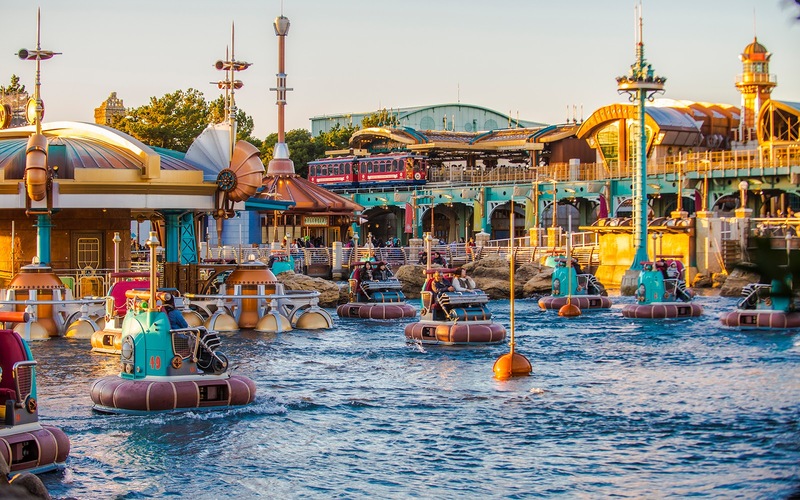 The first time I saw photos of Aquatopia in a Tokyo Disney Sea publication, I thought it was a bumper boats attraction. I thought it was a bit weird for Disney to invest in a rather carnival-esque attraction, but it sure did look pretty! 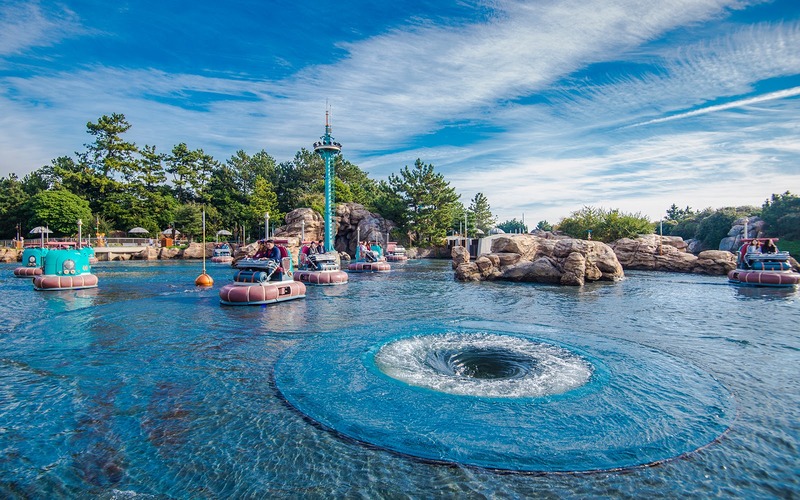 It wasn't until later that I learned that this attraction is actually a trackless ride that takes guests all around a lagoon, spinning and swing them around a preset course. It's silly and mostly devoid of story, and yet, it's an addictively fun ride, just because of how whimsical it is. I was bummed to find it closed and on refurbishment the first time I visit Tokyo Disney Sea. 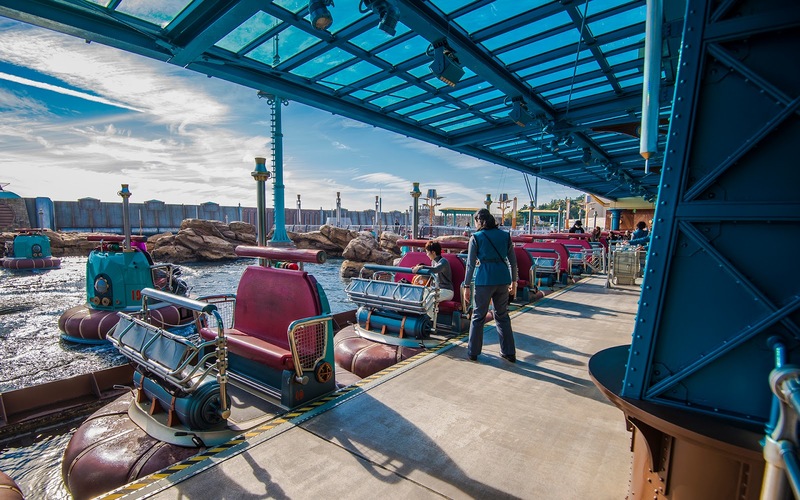 Fortunately, it was open the second time, and I was able to snap some nice photos of the scenery! 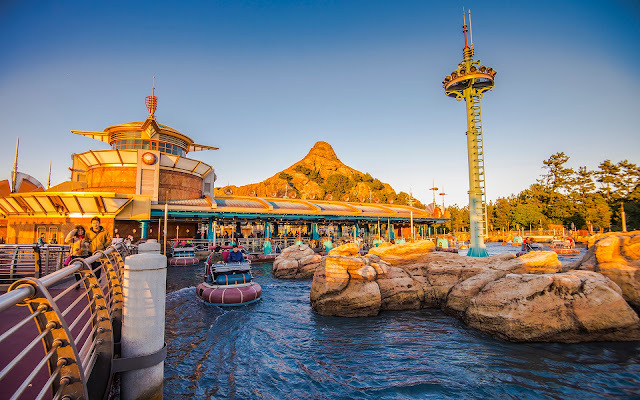 Golden hour at Aquatopia, with Mysterious Island's Mount Prometheus in the distance. One side of the loading platform. A whirlpool forms in the middle of the ride.